We have seen a lot of code editors, but are they all worth our time and work? Usually, we choose only the code editors that run smoothly. Many people choose the old code editors and end up without new updates. We need code editors that can access all the features in any language that help us to do our task better. We are going to show you some cool and easy working code editors which will be helpful and worth your time. 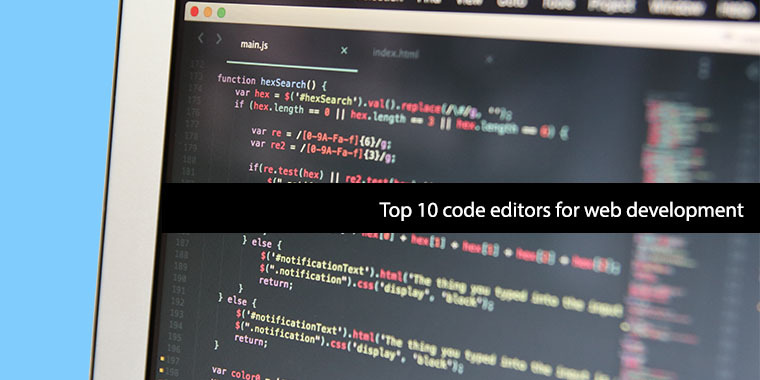 WordPress developers, web designers use these top code editors and these are also helpful for anyone who are into programming. Notepad++ is one of the most popular and easiest text editors available on Windows. It is one of the best because its features are easy to understand and user-friendly. It also includes things like line number, color coding, hints and other helpful tools which the standard Notepad application doesn’t have. The best part is it’s free to use. Syntax Highlighting and Syntax Folding. User Defined Syntax Highlighting and Folding. PCRE(Perl Compatible Regular Expression) serach or replace. Zoom in and zoom out. Atom is one of the good text editors to use on Windows 7 & 8, Linux, OSX 10.8. Its features are vast and it is an open source software. Atom has a built in the package manager that lets you search for and installs new packages or plugins as well. 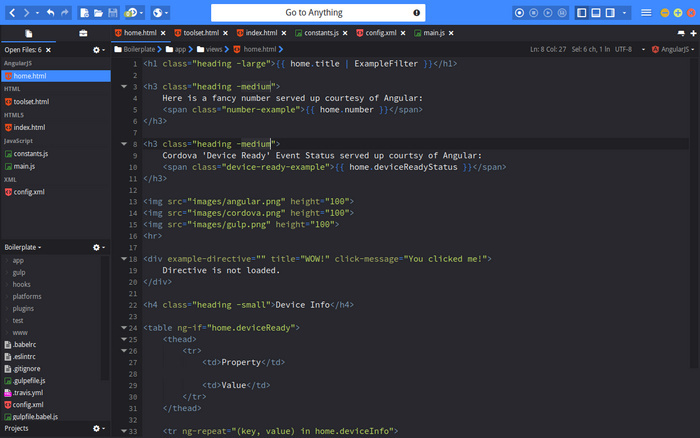 Sublime Text is a great text editor for Windows, OS X and Linux. It offers plenty of power to those who are working on websites and development projects. It also provides us some easy shortcuts and tools to leap about a document, filter the file and quick edits etc. Sublime Text is free to use software. Vim is also a good text editor but it will be preferable for all. 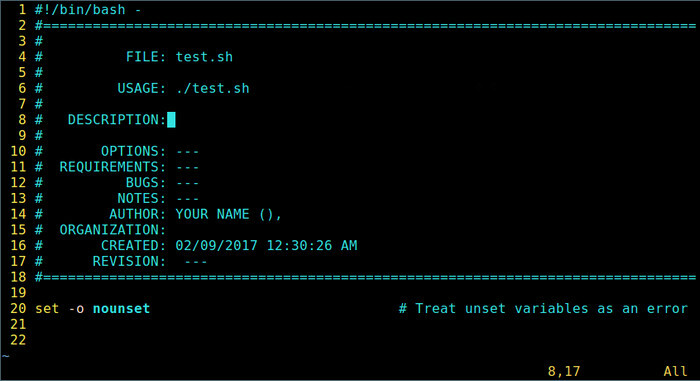 There are some flexible tools available to work with Vim to make it reach on your expectation of work on a text editor. Vim is usually used on Windows, MacOS X, Linux, Android, IOS. 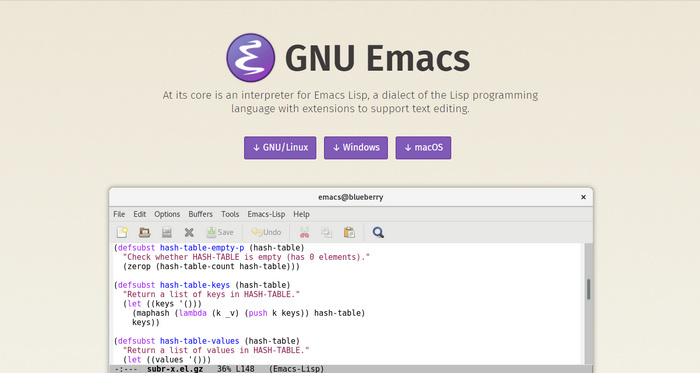 Emacs is one of the most powerful in all text editors, available on Windows, MacOS X and Linux. It is free of cost to use and customisable text editor. Komodo Edit is a multi language editor for multiple selections, auto complete, changes in tracks and also has a markdown viewer. It works on platforms like Windows, MacOS X, and Linux. It is free to use. Buffer Editor is usually designed to make quick changes to your website and will sync with both Dropbox and SSH/ SFTP servers. It is a great option for mobile devices especially IOS. ICE coder is easier to use and will let you work directly with in the browser and the best part is it will perform even if we are online or offline. The installation is easy and the application is user-friendly. It is mainly used on platforms like Windows, OS X, and Linux. Also free to use.